lunar phases (GB) Your browser does not support any audio element. To plan certain agricultural activities according to the lunar calendar, or to carry out certain moon phases, has already been described by several authors antiquity recommended. Increasing moon was associated with growth, waning moon with pruning and harvest. The wine read with increasing moon was considered less durable as the harvested at waning moon. Also the clergyman Johann quickly (1540-1612) from Austria deals extensively with this topic in his famous standard work "Weinbuch: Von Baw, Pfleg und Brauch des Weins". The Palatine winery owner and wine-growing historian Armand Emil Friedrich von Bassermann-Jordan (1872-1959) points out in his book published in 1909 "The History of Viticulture" in this context, the Württemberg vineyard order of 1614. There, the observance of the moon phases is recommended after ancient models. Among other things, "(new vines) to be set as long as three shoes high and far to the right depth with decreasing moon" . In to bathe According to the "Herbst- und Rebbauordnung 1764" the pruning could only be done on a waning moon. 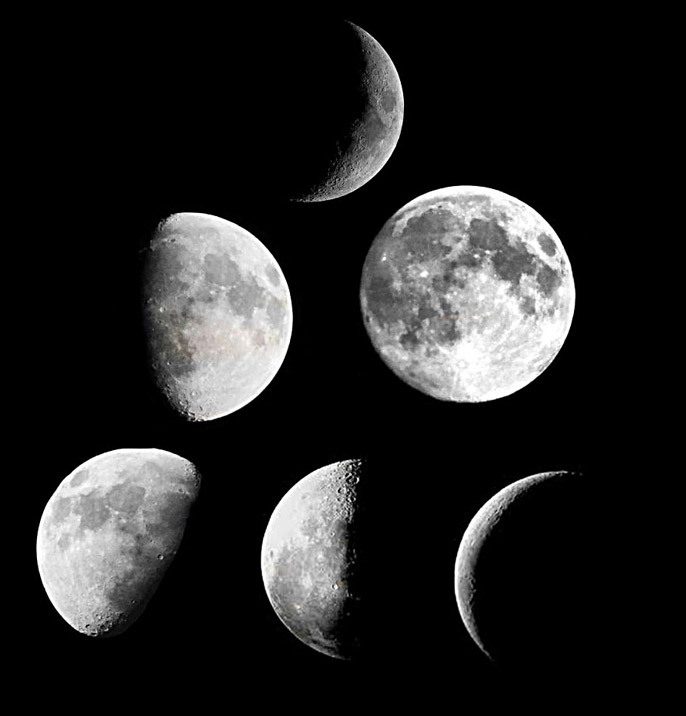 The observance of the "correct" moon phases or positions is today by winemakers, who have committed themselves to this (not undisputed) theory, as an important criterion for Biodynamic viticulture considered. The anthroposophical foundations for this are from Rudolf Steiner (1861-1925). According to the devotees, the plants react differently to substances during the different phases of the moon. Not only the moon phases (new moon to full moon), but also the position (near the moon and the moon, as well as star background) and also other planetary positions play a role. Starting from a lunar calendar, there are appropriate times or specific days for the various activities during the winemaking each are optimal and have a positive effect on the result. This goes from setting the vines to bottling and includes the vineyard management like pruning, Floor care, fertilization, Pest control and vintage, as well as the cellar technical measures. But there are no generally valid recipes, but the right measures at the right time must be tested individually. But since there is no scientific evidence, the method of Esoteric be attributed. This page was last modified at 25 September 2017 at 20:15.